At DMT Online Store we believe in fast service. We use FedEx or U.S. Postal Service for our shipments. 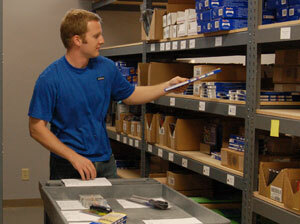 We stock our merchandise in our Wisconsin warehouse. This central location is within 2 to 5 business days of the 48 contiguous states for ground shipping. In stock orders received by 2:00 P.M. Central Time are shipped the same business day. Our fast order turnaround ensures you get your products on time and in great shape. We believe shipping and handling charges should be fair. We have made it easy to shop with us by basing the shipping and handling charges on the price of your merchandise. Below are our shipping rate charts. Not all shipping methods will be available to all locations.